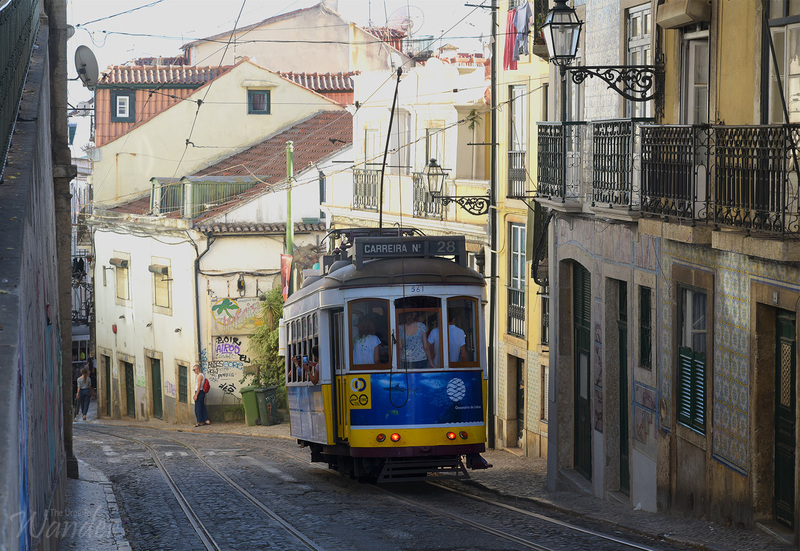 Home » Portugal » Postcards From Portugal! We aren’t exactly starved for sun in India. But there is something about the light in Portugal, in Lisbon in particular, that I am missing deeply as I write this from our airport hotel in cold, gloomy Frankfurt. I am in love with Portugal. It is beautiful in a melancholic sort of way. To me its allure lies in its imperfections. The tired ode to an extraordinary history that once stretched all the way to the small town I grew up in. Mangalore, tucked midway between Goa and Calicut: Vasco da Gama’s first port of call on the Malabar coast. Street names echo surnames of some of my oldest friends. Albuquerque, Lobo, Fernandes, Pinto. No one here is familiar with Mangalore however, although everyone knows Goa. Even Diu! There is much to love in this tiny strip of a country even without the allure of the familiar. First off, its warm, friendly, unpretentious people. The artful floor mosaics on pedestrian streets. The profusion of blue and white Azulejo tiles borrowed from the moors. The trams! The quaint old shopfronts and antique bookshops around every corner. Lavish Manueline architecture rubbing shoulders with street art. The breathtaking monasteries that are UNESCO certified for good reason. The mournful strains of Fado streaming into our Coimbra apartment in the shadow of a 12th century Moorish tower. 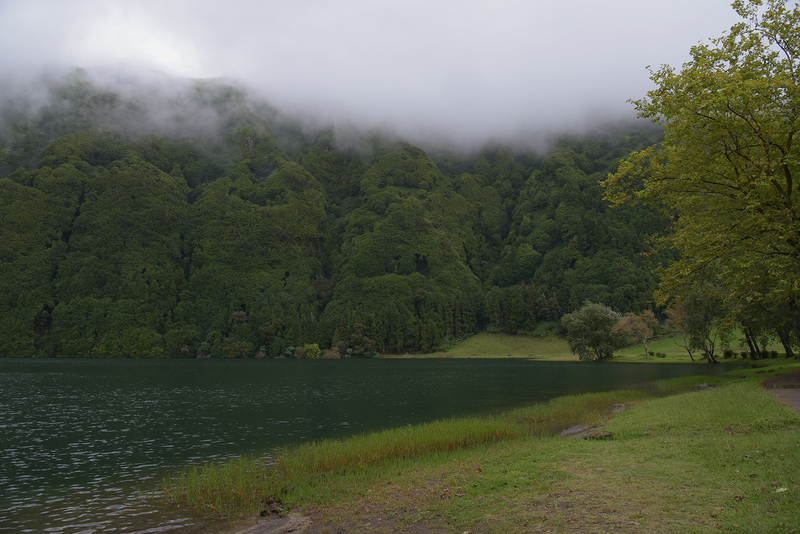 We barely scratched the surface of what Lonely Planet terms Portugal’s ‘cinematic scenery’ in our four days in the Azores and on a day trip to the Douro valley. 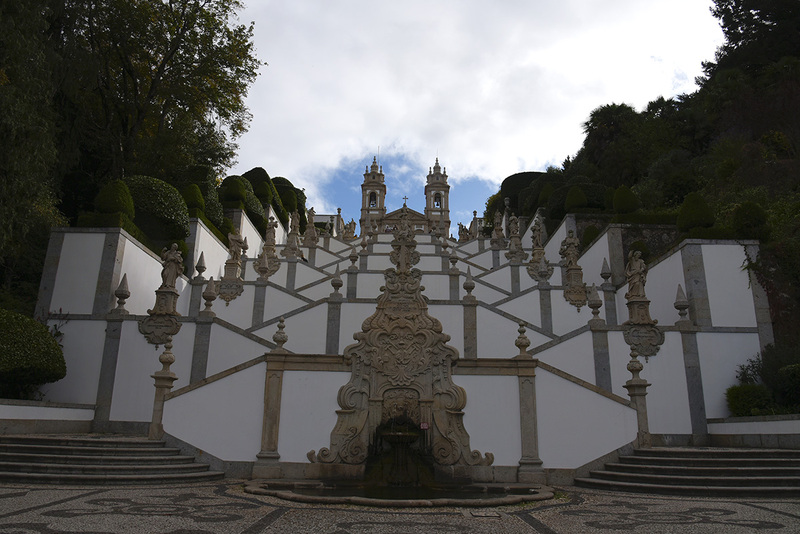 Another day trip to Braga (from Porto) has me determined to return on a road trip to exclusively explore the enchanting smaller towns someday. Then there is the freshest of fresh seafood. And great coffee. All cheaper than anywhere else in Europe. The pastel de natas and the port were both far too sweet for our tastes. As were most egg based pastries and desserts. But a concoction of port and tonic (termed Portonic by Lisbon restaurants) smothered with ice and topped with slices of lemon was a delightfully refreshing discovery. Most of all, I fell in love with the views. Marvellous perspectives every which way we looked in every city we visited. 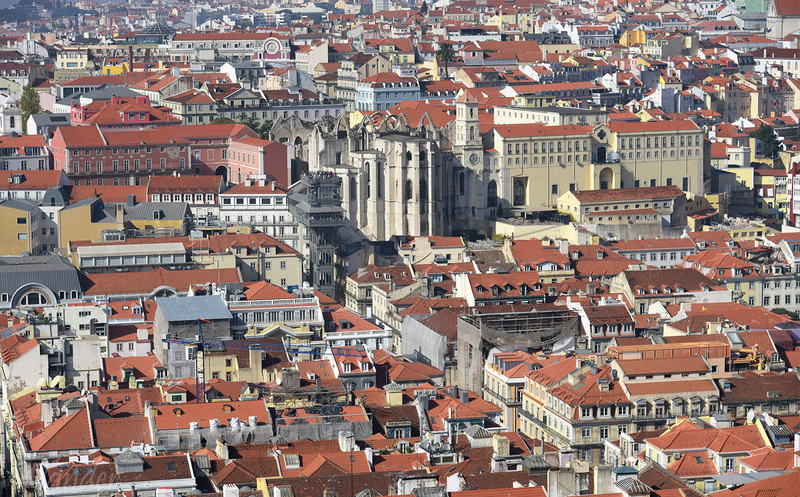 I doubt there is another capital city – barring Rio – that boasts more stunning views than Lisbon. My only regret? Not having been able to time our visit around (Restless) Jo’s. It was lovely however to be able to catch up with Malaysian travel blogger friend Kathleen, in Porto. Stay tuned for more posts from Portugal (and Belgium!). 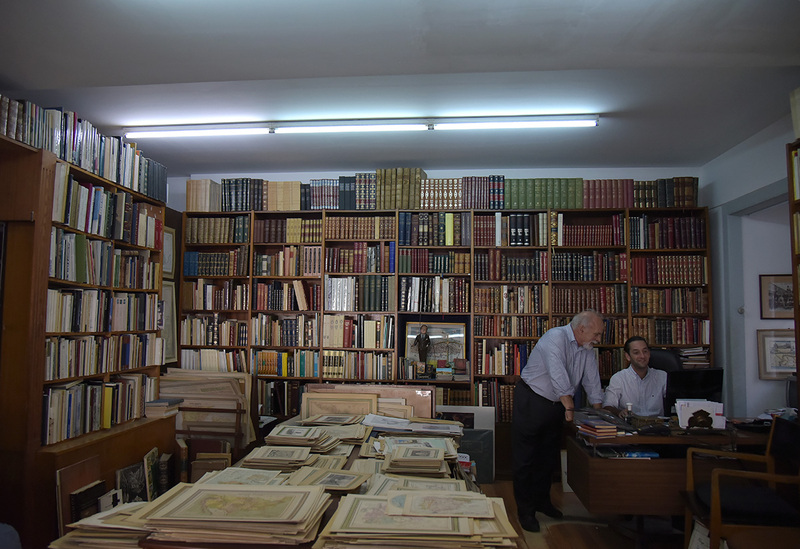 Atmospheric bookshop full of fascinating etchings and lithographs in Chiado, Lisbon. 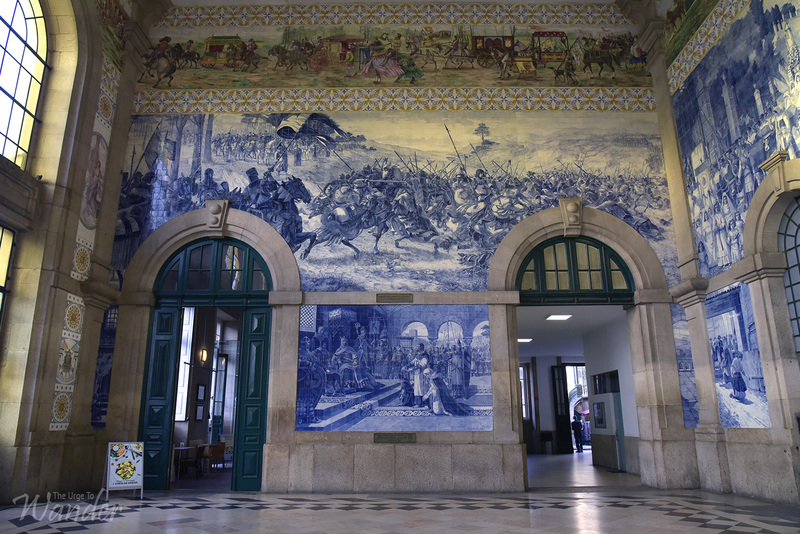 Azulejo tile work in the vestibule of the Sao Bento Station in Porto. You do indeed Riba 🙂 Hope all is well with you? Oh wow, love your pictures! Thanks for the tour of a country brewing with architecture, culture, history, land and seascapes. Most welcome Sally. For its size, Portugal is unexpectedly rich in every one of those aspects. Are you still in Europe (cold is coming) or back home. De nada Brian 🙂 We got back two days ago. Yes, Frankfurt was so cold and gloomy, we aborted our plans to walk around its old town during our long layover. Portugal was still pleasantly warm though. I have been saying I must get to Portugal…you have certainly helped strengthen that view, Madhu! Portuguese residents! That’s wonderful. So will you need to spend more time there? We had been before on a whirlwind escorted tour that whizzed past Lisbon, Sintra, Cascais and Fatima. This time was slower and more immersive. Missed you lots Jo. I actually planed to stay on if it had just been a matter of a day or two. 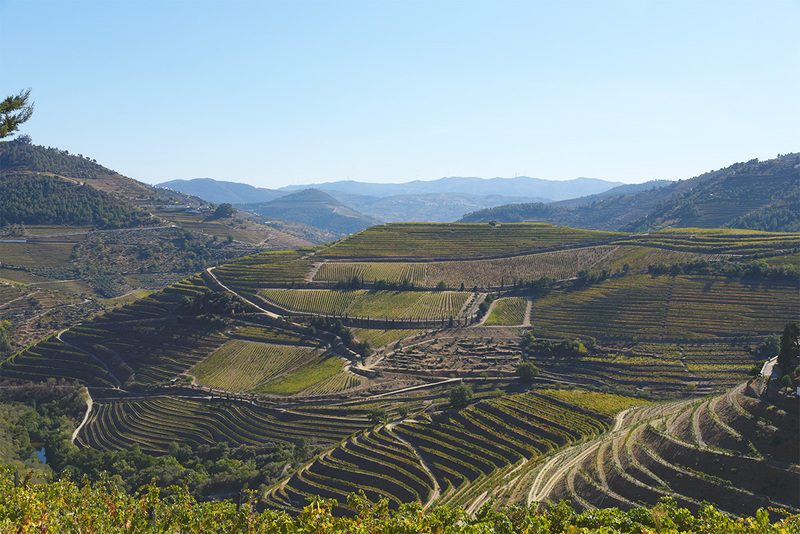 The Azores was a last minute swap with the Douro valley. It rained through two of our four days there with fog cutting down visibility to zero. Make sure you check weather forecasts if you do decide to go. What a fabulous post on my beloved Portugal. You’ve captured the light perfectly. That’s a lovely compliment, thank you very much Becky! Wish I’d had time to browse through your blog before I went. I am mostly Portuguese descent, but no one in my family had traveled there. Your photos brought back memories of time there in 2011. 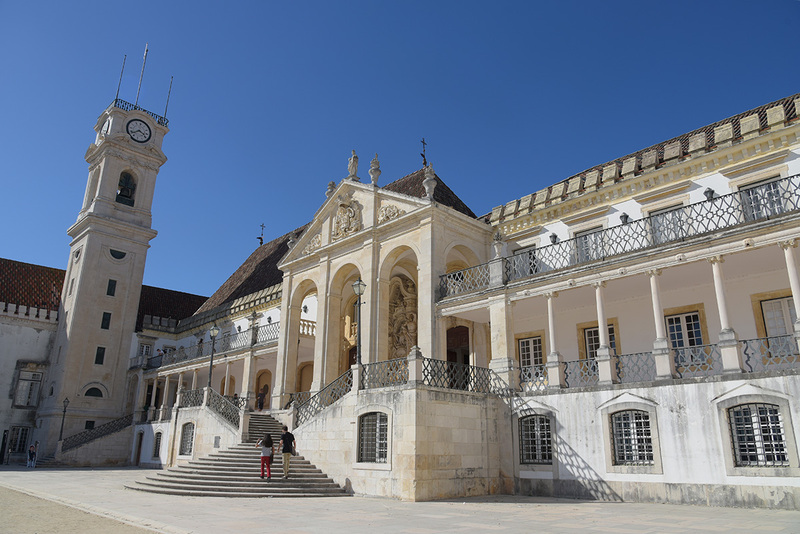 Before the trip, I had tried to arrange a 3rd-year university exchange to Coimbra, but it was not possible as my university did not have an agreement with Coimbra. During the trip, I visited the university; while it was quiet–it was August–I was blown away by the campus and the surrounding area. 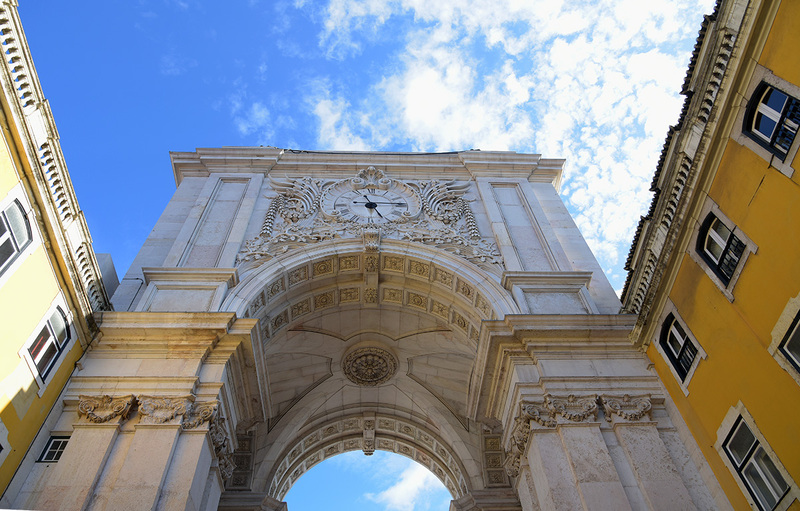 Lisbon was the friendliest capital city I’ve ever been to…didn’t want to leave! 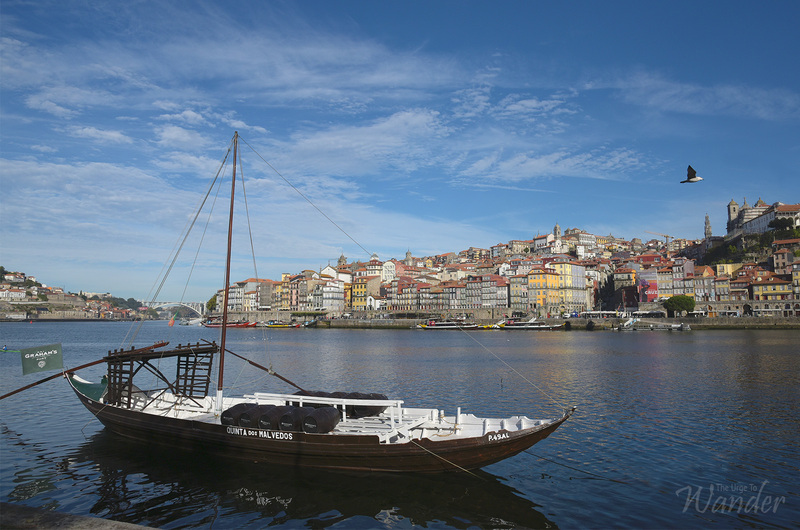 And Porto…ohhh…too beautiful! 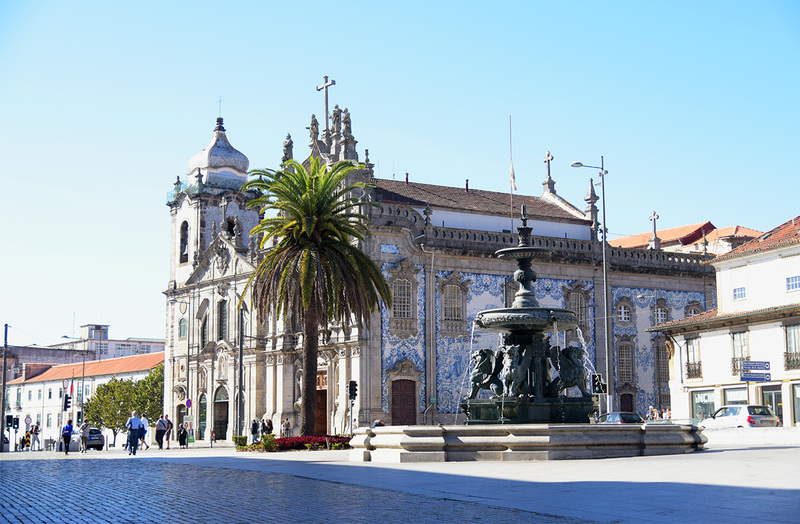 Your photos reminded me that I have to return to Portugal–it is a fascinating little gem of a place! Me gusta como escribe. Portugal debe ser muy bonito. Indeed it is! Muchas Gracias Santiago. So much detail and such magnificent photos. Every post of yours suggests another option for 75th celebrations! Ha ha nice to be spoiled for choice Meg 🙂 Portugal is worth considering. Disconnected married couple? I’m sorry, I’m missing something here Meg. Oops. I thought I’d posted this to the wrong place. Can you delete it? It was supposed to be a response to a comment on my couples post. I love these! A friend and I have just made plans to visit Portugal in 2018, and I am so excited. Thanks for sharing! Thank you Veena. Do let me know if you need any suggestions. I love your descriptions of Portugal. I’ve long wanted to go there and I think you verbalized why: the melancholy beauty. Ha, I think their music heightens that feeling 🙂 I know you’ll love it Juliann. What a beautiful country. I wish I’d been able to visit there during my travelling years but at least I’ve had the pleasure of visiting through your blog. Thank you for the pleasure of your virtual company Ian 🙂 Have a great day. Portugal has been in my bucket list for long and your blogpost gives me serious travel goals now. Wonderful and am happy that you are back at regular blogging. You’ve captured the feel of Portugal so beautifully Madhu, teasing all my senses awake. The little part I experienced had a very special calm to it, I’m sure I return. Thanks for a lovely morning read, I hope all’s well with you! Thank you very much for reading Rupam. 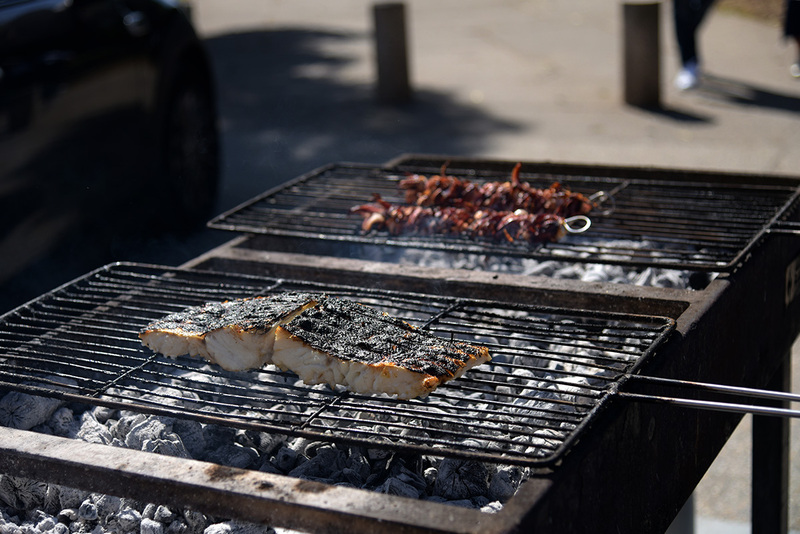 You may have singlehandedly convinced me to return to Portugal with this post! I was there so long ago, during a period lived in Madrid, and at the time, I thought of Portugal as the poor cousin and did not appreciate or even take advantage of her many charms. I liked the connection between the country and your hometown (and the names!) – very interesting! And I learned a new word – Manueline – pretty word and pretty style! Thanks for another wonderful tour. Oh Madhu such beautiful photographs! And your writing shows your obvious love of Portugal. Don and I have longed to go there. It’s high on our list and this post just confirms again that it should be. Thank you very much Alison. Yes, Portugal is now on par with France and Spain, my two favourite European destinations. For such a small country it has an mazing variety of things to see and do. Have no doubt Ron and you would love it as well. My thoughts exactly Tony. Fingers crossed that they find a balance. They certainly need the tourist dollars. In Indonesia, Portugal is not a favourite destination for euro trip. But I guess it’s just because we don’t hear many story about it. Personally, this country become my top wishlist after southern Spain. Thank you Bartian. Portugal isn’t yet popular here in India either. Hope you get to visit soon. Love this post, Madhu! It brings back great recent memories and perfectly sums up all there is to love about Portugal. Thanks for the inspiration to finish writing the Portugal posts I haven’t yet gotten to! I am anxious to hear more about your time in Portugal Madhu. It is very high on our travel list, along with Spain. Portugal might appear small, but it does merit a few weeks LuAnn. Shall get down to my travelogues in a few days. When we travel internationally, we try to stay as long as possible, to extend our travel budget, if you will. I look forward to learning more about Portugal. I’ve just returned from a week-long trip Down Under, but your photos and description of Portugal make me want to pack the bags and fly again! Despite the past, and often turbulent, connections between Indonesia and Portugal (as recent as the 1970s when Indonesia annexed the then Portuguese colony of East Timor), the European country is off the radar of most Indonesians I know. In my case, my curiosity toward Portugal started to grow after my trips to Macau and Timor-Leste. Visiting Goa and Malacca two years ago further emboldened my wish to explore the Iberian nation one day. Looking forward to more posts on Portugal (and Belgium), Madhu! Portugal isn’t all that popular here as well Bama. One reason might be fewer flight connections (which is undoubtedly related to lesser demand! ), but there is a general perception of Portugal as ‘poor’! We laugh when we hear that from fellow Indians 🙂 I have a huge backlog of travelogues to finish. Trying to maintain a semblance of a schedule with quick photo posts. Should be able to get down to writing by next week. Thanks Bama. The pictures featured in this post are absoluetly breathtaking. What camera did you use? I hope one day to visit many different countries and now after reading this post, I am adding Portugal to this list! Beautiful photos and narrative. So looking forward to visiting this beautiful country, with its gorgeous tiles and stunning rooftop views. A beautiful country – hope to visit one day. Oh dear – call from Brisbane – my daughter and grand daughters – got to go. Portugal is a beautiful country and your post made me want to go back and visit it again. I love you photos from your trip. Portugal is so magical…lovely scenery. Awesome photos too.